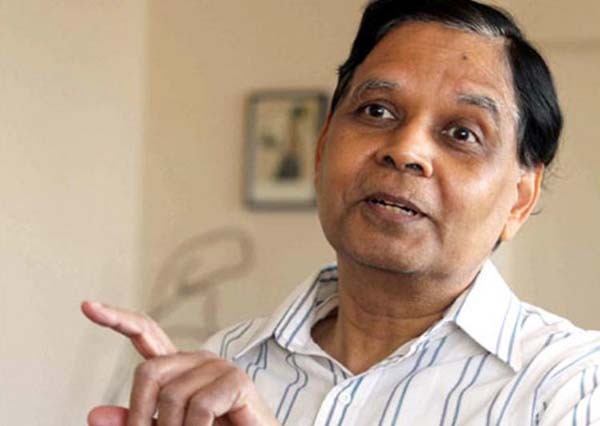 New York (PTI): India is likely to clock a 7.5 per cent economic growth in the current fiscal, NITI Aayog Vice Chairman Arvind Panagariya has said, even as he acknowledged that creation of “good jobs” in the country remains a big challenge. “For the current fiscal year of 2017-18, I expect that we will be back to at least 7.5 per cent and as you get towards the last quarter of the year probably we will begin to touch eight per cent. But the average for the year would be about 7.5 per cent,” Panagariya told PTI in an interview here. He said it is unfortunate that India’s better performing sectors such as automobile, auto parts, engineering goods, petroleum refinery, pharmaceuticals and IT enabled services, are not very employment-intensive. “All these (sectors) are either very capital intensive or skill labour intensive. There is a big need for good jobs at the lower, semi-skilled level. There we have got a big challenge,” he said. Panagariya said he does not agree with the classification in some sections of the media that India s economic growth is a jobless growth. “I personally don t believe that is true. We cannot be growing at 7.5 per cent and then you say that jobs are not growing, investments are not growing at a satisfactory pace. All of that growth could not have come from productivity alone,” he said. Panagariya, however, acknowledged that there is not enough creation of good jobs that pay good wages. “Jobs are being created. But certainly good jobs which pay good wages, those I think we have not been very successful with and that is where the big challenge lies. That really also requires some reconfiguration of the structure of manufacturing towards more labour intensive sectors like clothing,” footwear and food processing, he added. He noted that China, which is the major exporter of all these products, is experiencing very high wages and is already quitting some of the space in these labour intensive sectors. “It is a good time for India to move into those sectors,” he said. With the Indian government implementing the big ticket reform of the Goods and Services Tax, Panagariya said while there could be some teething troubles as the country embraces the ambitious financial reform, he does not see it significantly impacting economic growth going forward. “On some sort of an immediate negative impact (of the GST on economic growth), personally I don t think there will be a kind of negative impact that you will be able to actually measure separately,” he said, adding that there will undoubtedly be teething problems initially because even if the country is small, when an entirely new system is instituted, it takes time for people to learn. “The vastness of the country makes it more complicated and you are dealing with 29 different states and different levels of income, different capacities to implement in different states,” he said. “I think things should settle down in a relatively short period. I would say on the whole, we should see within a year s time positive results should be coming out and in the longer run, it should enhance efficiency,” he said on GST s impact going forward. At an interactive multi-stakeholder panel hosted at the UN by India s Permanent Mission to the UN, the NITI Aayog and think-tank Research and Information System for Developing Countries last week, Panagariya had said that India s GDP could rise to about USD 8 trillion over the next 15 years if by a conservative assumption, the country registers an economic growth of 8 per cent annually.